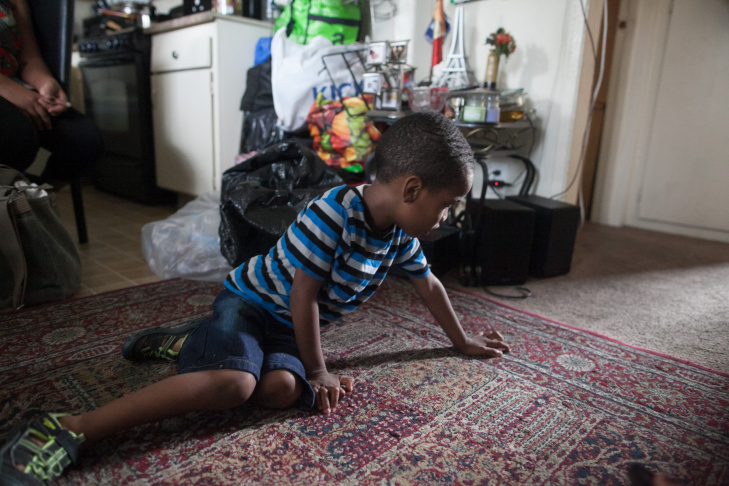 Delroy Haughton, 4, plays on the carpet at his home in South Los Angeles. Delroy has asthma and his symptoms were made worse by the living conditions of his family's apartment, said his mother, Emily Zelaya. 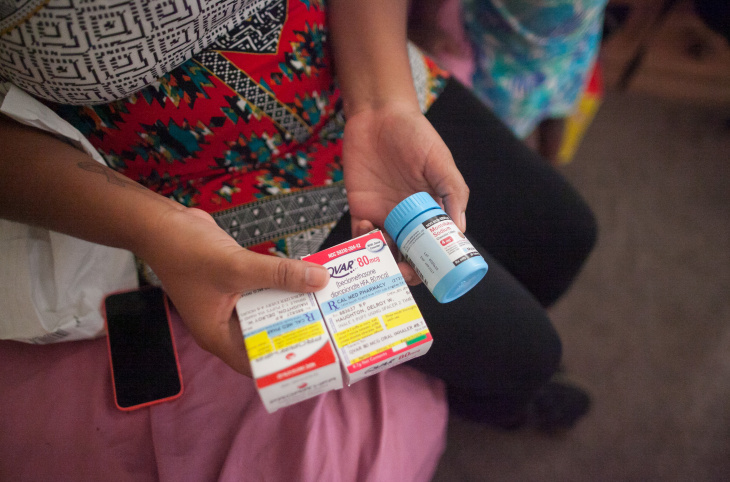 Emily Zelaya shows her son Delroy's asthma medications at their apartment in Los Angeles, California, on Monday, Sept. 21, 2015. Delroy has asthma and his symptoms are made worse by the living conditions of his apartment, according to his mother. 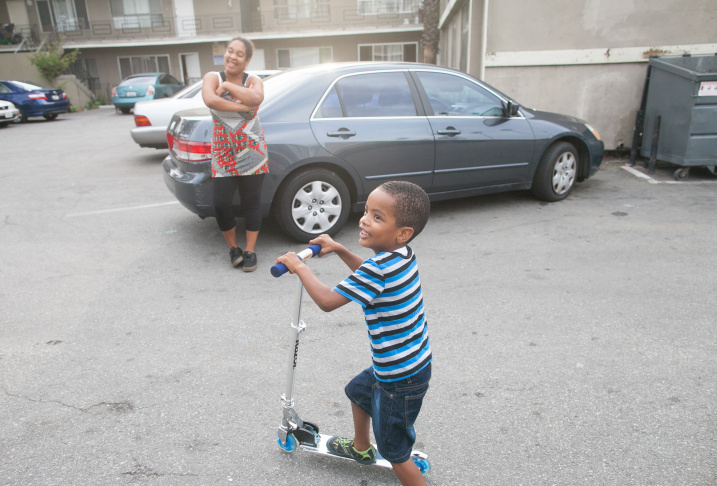 Four-year-old Delroy Haughton and his mother, Emily Zelaya, at their apartment in Los Angeles, California, on Monday, Sept. 21, 2015. Delroy has asthma and his symptoms are made worse by the living conditions of his apartment, his mother says. Delroy Haughton, 4, was diagnosed with asthma. His symptoms are made worse by the living conditions of his family's South Los Angeles apartment. 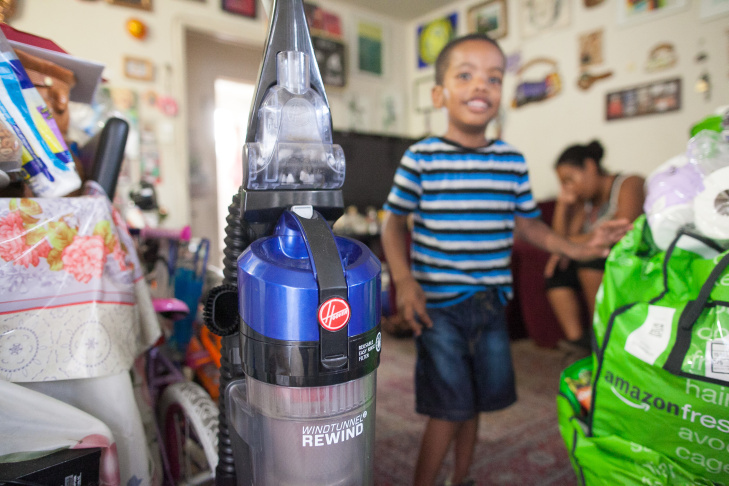 A vacuum cleaner issued to the family through a program that promotes healthy housing has helped with cleanups. Emily Zelaya shows where she says the mold in their bathroom has been painted over, and the paint is peeling off their bathtub in her family's apartment in Los Angeles, California, on Monday, Sept. 21, 2015. Her son, Delroy, has asthma and his symptoms are made worse by the living conditions of his apartment. 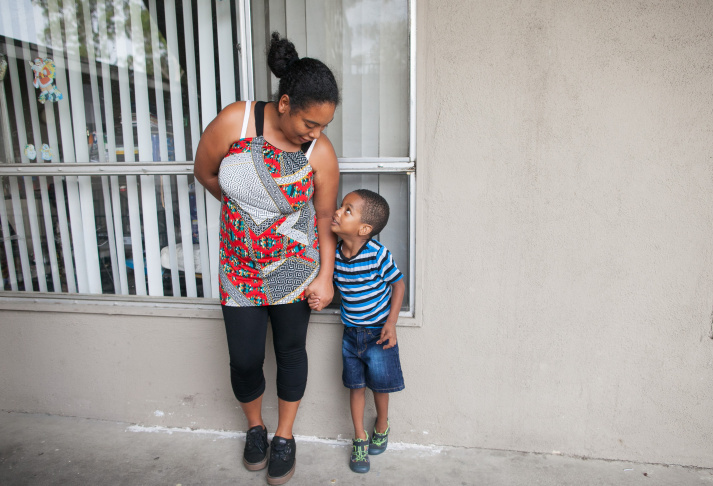 Delroy Haughton, 4, and his mother, Emily Zelaya, outside their apartment in Los Angeles, California, on Monday, Sept. 21, 2015. Delroy has asthma and his symptoms are made worse by the living conditions of his apartment. Delroy Haughton, 4, and and Diamond Terry, 4, play outside their apartment while Delroy's mother, Emily Zelaya watches, in Los Angeles, California, on Monday, Sept. 21, 2015. Delroy Haughton, 4, and mother Emily Zelaya at their apartment in Los Angeles, California, on Monday, Sept. 21, 2015. 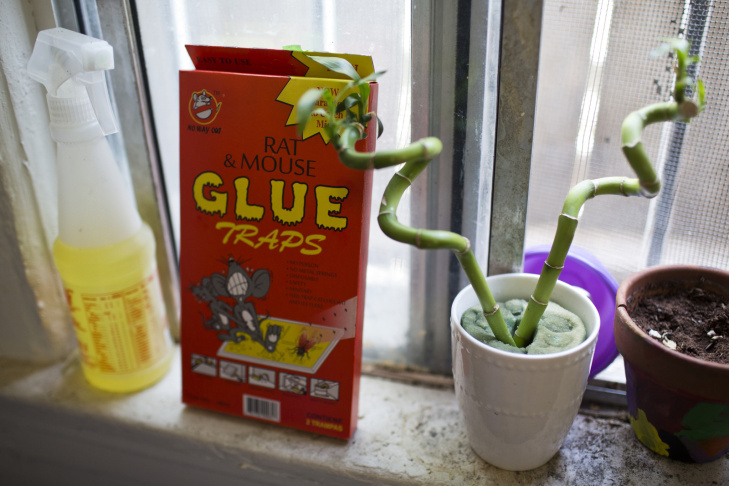 Delroy has asthma and his symptoms are made worse by the living conditions of his apartment. Diana Jacobo moved into an apartment building on East Jefferson Boulevard one year ago with her husband and three children. The family pays more than $1,000 a month in rent. Their home has rats, cockroaches and ants, according to the family. 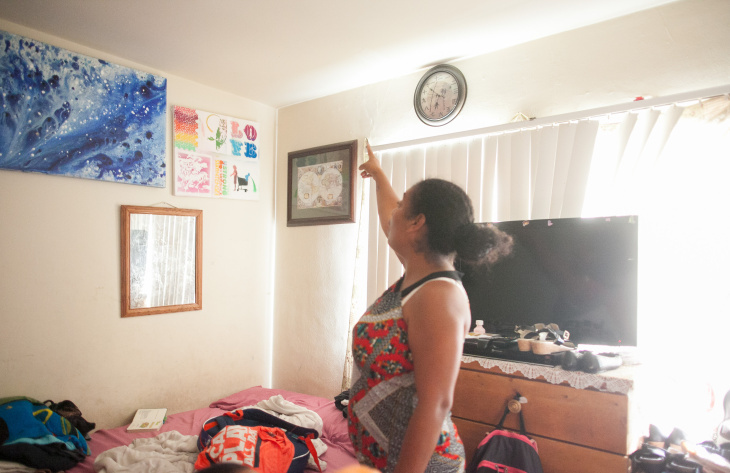 Favian Gonzalez, an organizing coordinator for Strategic Actions for a Just Economy, stands next to a framed painting that covers a foot-wide hole in the wall of an apartment on East Jefferson Boulevard in South Los Angeles. Natividad Rodriguez lives in an apartment building on Wall Street in South Los Angeles with her husband, two children and two dogs. The building has a history of water leaks, which have led to roach infestations in their home. 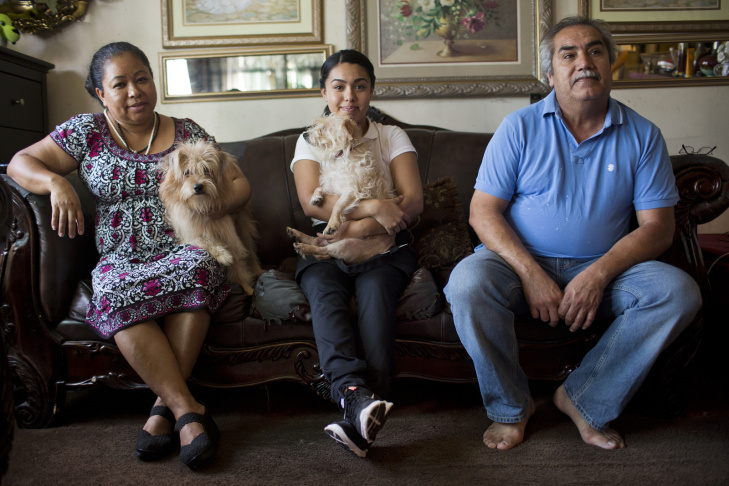 Natividad Rodriguez, left, daughter Janet Sanchez and husband Isaac Sanchez have lived in their home on Wall Street in South Los Angeles for two decades. 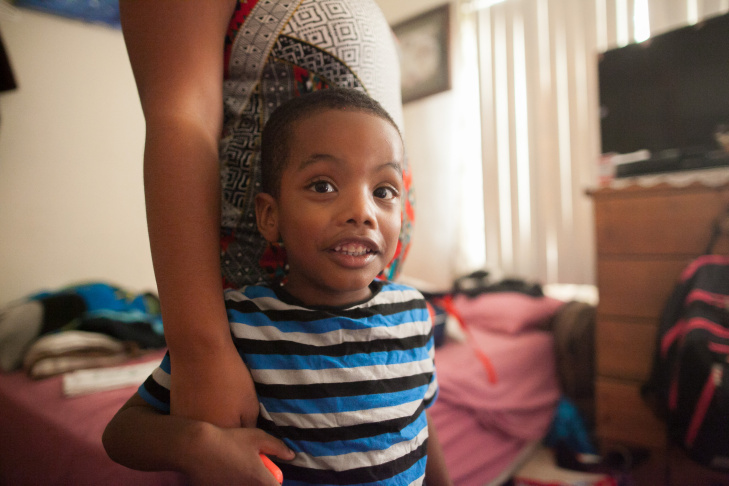 Young children in South Los Angeles continue to live in conditions that harm their health and well-being. In the second of two parts, KPCC examines why many children suffer from asthma and other respiratory illnesses triggered by mold, roaches and other hazards in their homes, sending the kids to emergency rooms and causing them to lose valuable school time. Read more in this series and let us know your thoughts on Twitter using the hashtag #IamSouthLA. Some 2,800 miles west of the towering glass buildings of the world’s financial capital in New York is another Wall Street, one tucked in a residential neighborhood of South Los Angeles. Home to garment workers, food vendors, low-income families and small children, the community is the focus of a battle waged apartment by apartment to reduce the cases of asthma and respiratory illnesses that are major reasons why many poor kids chronically miss school. 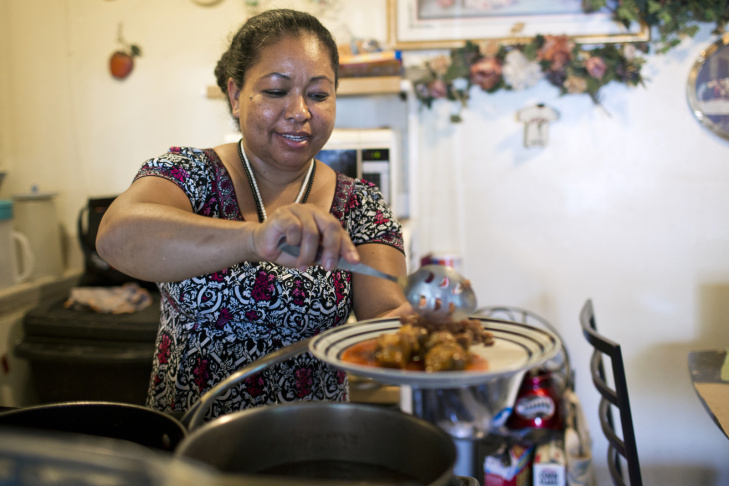 Natividad Rodriguez has lived on South L.A.’s Wall Street for 20 years. Back when she and her husband first moved into their ground floor apartment, she had two young children. Their one-bedroom apartment sits in a squat, concrete, building that faces a large park. Rodriguez dreamed of a bright future for her family in their new home. Constantly leaking pipes can lead to mold and dampness that attracts roaches. For Rodriguez, the problems got so bad that in multiple places her apartment's ceiling has fallen in. A visitor would see extensive staining from water damage and patches in numerous spots. Living like this was bad enough. But then her young kids, who she described as healthy when the family moved into the Wall Street apartment, began to get sick. 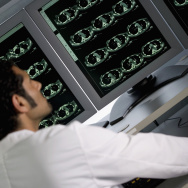 Both developed asthma and suffered severe asthma attacks. Her sons were put on medication, but the attacks continued. Finally, a doctor from the St. John's Well Child & Family Center clinics where the children were being treated paid a home visit to the family. “It was the doctors at St. John’s clinic … [who] said the asthma is because of the roaches and the dampness,” Rodriguez said. Cockroach body parts are a known trigger of asthma, he said. For some children, living in an apartment infested with cockroaches can act as a constant irritant, triggering or exacerbating respiratory illnesses. “There’s very clear epidemiologic data and anecdotally from our own work to suggest a link between poor housing conditions with chronic water damage, chronic infestation, whether it be cockroaches or something else, [and what] drives an increased severity of asthma,” Dasgupta said. St. John’s doctors were seeing many children with asthma and illnesses like severe allergic rhinitis, an inflammation of the mucous membrane of the nose, which medication failed to control. 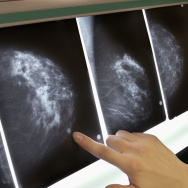 Dasgupta said doctors began to wonder what else might be at play. They interviewed families about home and school life, trying to gain a larger understanding of what children might be exposed to that could be exacerbating their illnesses. “Perhaps we start to find out there’s a tap that leaks under the sink, there’s visible mold in the child’s bedroom on the ceiling, the family has been dealing with a cockroach infestation, finding cockroaches in the bed when they wake up in the morning, feeling cockroaches crawling on them at night,” Dasgupta said. Doctors themselves visited patients’ homes to see the conditions. “Once we get that information, we know that 60 percent or more of those children, when there is a history of cockroach exposure or mold exposure, and symptoms and physical exam consistent with allergic rhinitis or allergic disease, asthma, are having some of their symptoms driven by those allergen exposures in the home,” Dasgupta said. He is convinced that getting rid of roaches, mold and general dampness can markedly help his pediatric patients. That’s just what single mom Emily Zelaya has been trying to do for over a year. 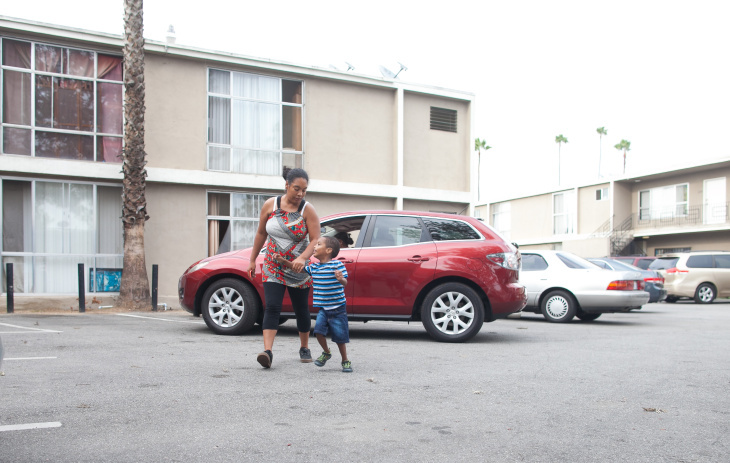 Zelaya lives with her mom and 4-year-old son in a cramped one-bedroom apartment just north of Leimert Park in South L.A. When her son, Delroy, was an infant, he began coughing so severely she had to rush him to the emergency room. Delroy was diagnosed with asthma. But even with medication, his symptoms did not improve. A pediatrician at California Hospital Medical Center called a local community organization, Esperanza Community Housing, and asked that it send a community health worker for a home visit. First established in 1989, Esperanza has been working for years in South L.A. helping impoverished families improve the quality of their housing, understand complicated health issues, and gain access to health care. Diego Emestica, an Esperanza health worker, conducted an indepth interview with Zelaya and inspected her home, gathering information for a full picture of the sick child's surroundings. Emestica became convinced that the roach infestation and extensive mold in the apartment exacerbated Delroy’s asthma. “Primary trigger that we usually find in the home is cockroaches, we look for that. We look for mold,” he said. Both were abundant in Zelaya’s home, but identifying potential sources of irritants is just the start. “From there, we move on to make a plan to try and remove those triggers,” Emestica said. Emestica worked with Zelaya to show her how to clean mold, trap and clean up roaches, and vacuum dust. For Zelaya, none of it was too much; her son was missing too much preschool because he was sick. Zelaya meticulously spotted and removed mold as it set in. As the months passed, Delroy's asthma attacks disappeared. But despite Zelaya's efforts, the cockroaches kept coming. Ann Rowland, Delroy’s grandmother, shares the apartment with the preschooler and her daughter. She said she and her daughter have repeatedly asked the building management to help with the mold and roaches. Zelaya’s building is owned by the real estate company L.A. Properties Inc. Court records show the company has been sued multiple times by tenants. In one 2010 case, a group of tenants alleged their children grew sick due to cockroach and bedbug infestations. The landlord settled the case. The amount was not made public due to a confidentiality clause. Company owner Joseph Heffesse, who owns dozens of buildings in Los Angeles, did not return KPCC’s calls for comment. Researchers have found that even when residents regularly clean their homes, the allergen produced by cockroaches can remain behind. One study conducted by doctors at Johns Hopkins concludes that even when residents successfully used roach traps or Raid to reduce cockroaches, the roach allergen lingered up to eight months later. 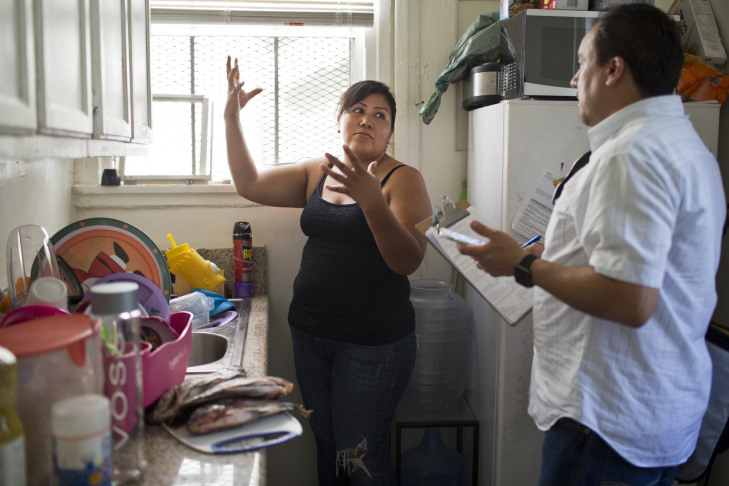 This wider approach to remedying persistent housing-related health problems guides a collaborative effort between community based organizations in South L.A. called the Healthy Homes Collaborative. 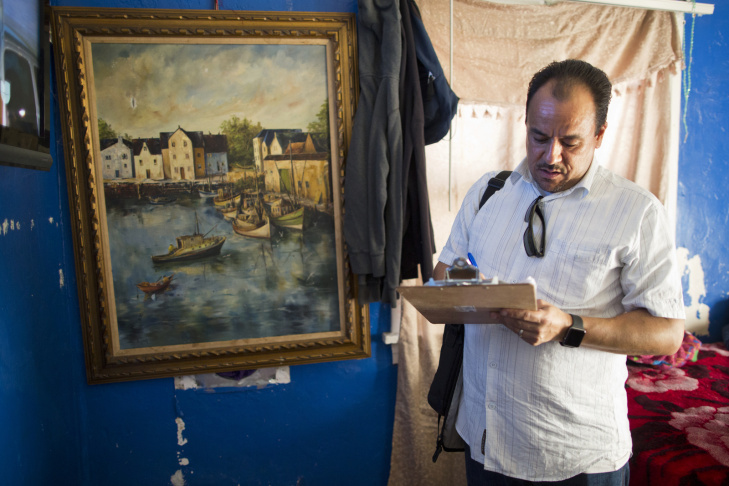 Doctors at St. John’s clinics, lawyers who represent tenants, community groups and city and county departments that inspect rental dwellings for violations are all part of the effort. Before officials get involved, however, tenants need to speak out — and not all do. Kite said the Healthy Homes Collaborative heard from families that they were afraid their landlords would retaliate if they asked for repairs or complained to the city about poor conditions in their apartments. To stave off reprisals against individual tenants, one of the collaborative's partners, Strategic Actions for a Just Economy or SAJE, conducts what it calls Building Blitzes. Organizers and community volunteers go door-to-door in apartment buildings where they have received multiple complaints and ask residents to document the issues in their apartments. 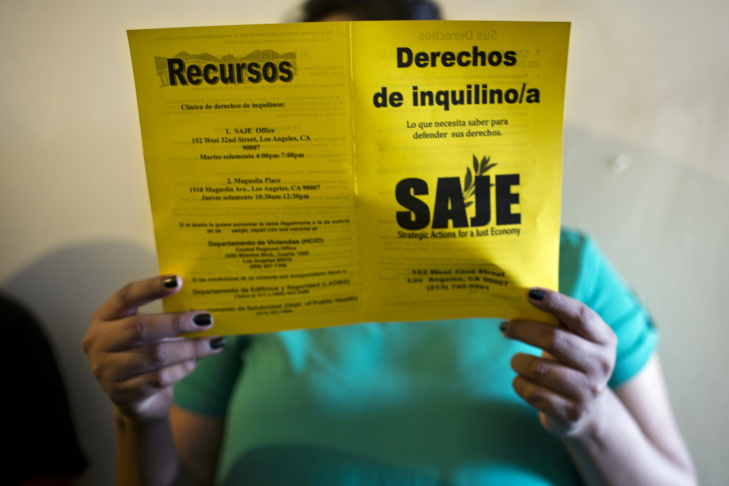 On one July evening, SAJE organizers targeted a dilapidated building on Washington Boulevard close to the 10 Freeway. 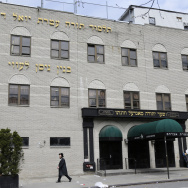 They had heard about numerous problems in the building from several tenants, many whom have small children. As competing dinner smells wafted through open doors, organizers fanned out in the building, knocking on each door. Nery Cividanis, a young SAJE organizer, tapped on one door and conversed in Spanish with a mother who has a 6-year-old with severe asthma. She described roach infestations that won’t go away. Just as she spoke with Cividanis, the building manager approached and stood close to the apartment door. She didn’t say a word, but glared at the mom, who quickly said she was busy, took the forms and scrambled back inside. The manager declined to speak with KPCC. Jeff Paxton, director of code enforcement for the city housing department of Los Angeles, agreed to speak generally about the inspection process. He said that when violations occur, owners are required to correct them, but this doesn't always happen. “Well, I guess ultimately the responsibility would lay upon the owners,” he said. His said department will cite owners for violations and send them notices to comply. If nothing happens, he said, the city attorney can prosecute. Paxton was unable to provide information on how many prosecutions the city attorney has undertaken in the last few years. The Washington Boulevard building is owned by Charles Zen. When KPCC contacted him, he first said he had not received any notices to fix anything in the building. After being informed that KPCC had obtained copies of the city's notice to comply letters to him, Zen declared he had complied. Zen said he was not aware of recent resident complaints about rodent infestations or that children with asthma live in the building. "I will go there [and] can talk to them," Zen said. "I go there all the time, I do the best I can. But it is difficult because [I] don’t speak Spanish." The building owner also said he made a mistake buying the building. "It is 100 years old," Zen said. "When I bought it, I did not realize it. I try my best in the meantime." Another issue that can delay help is the division of responsibility among various government agencies. The Los Angeles County Department of Public Health also inspects homes. After SAJE filed complaints on behalf of tenants in Washington Boulevard building who did not speak English, a health department inspector visited the building in November 2014. However, no inspection was conducted that day since the inspector did not speak Spanish — and did not want the SAJE representative to translate, according to Cividanis. Terrance Powell, who oversees the inspections, acknowledged that lack of Spanish-speaking inspectors is a challenge for his agency. There are 242 county inspectors for all 65,000 buildings. According to the county, only 21 of those inspectors speak Spanish. For the South L.A. community, where 51.7 percent of all residents speak Spanish, the relatively few county inspectors with Spanish fluency presents a barrier to conducting needed inspections. Even when inspectors are able to gain access and communicate with tenants about mold in their apartments, Powell said, there are still obstacles. So how then does the problem get fixed? Often, it doesn't, and the mold and roach infestation continues. Nati Rodriguez, whose apartment had the troublesome ceiling leaks, said she called her management company and the city. But she said the night before an inspection, “some guy” sent by the company would show up and quickly patch her ceiling. The city inspectors would see it repaired the next day and no citation would follow. Weeks or even days later, she said the patch job would collapse. 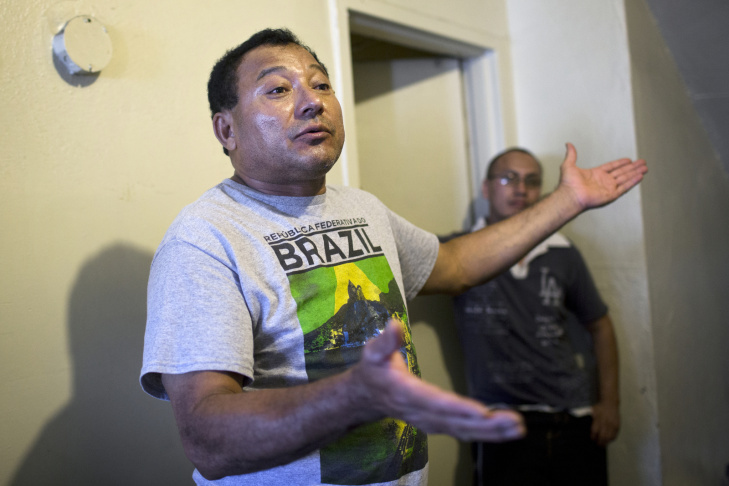 Forcing her management company to do a better fix — to repair or replace the source of the water leak — has proven next to impossible, said Carlos Jaurigi, a SAJE organizer who has been helping Rodriguez. KPCC's multiple requests for comment from the company were not answered. Descartes has been the subject of tenant complaints before. The company and two other previous owners reached a settlement with tenants in a downtown Los Angeles building it owned in 1990. The Los Angeles Times reported the dispute involved the building's "slum conditions" and 65 families split the $2.4 million settlement. 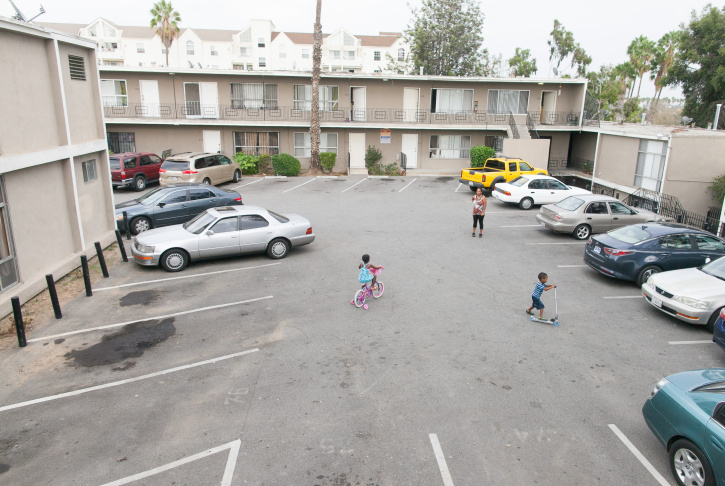 This summer, two families who live in another South L.A. building filed a suit in Los Angeles County Superior Court against Descartes, alleging neglect and a refusal to repair conditions that made their children sick with asthma and lead poisoning. Attorney Grant Riley, who represented the families said low-income tenants don’t have many options when it comes to holding a landlord accountable for dilapidated, unhealthy housing. Another law firm, Inner City Law Center, a nonprofit organization that is the legal arm of the Healthy Homes Collaborative, also represents tenants who say their landlords have failed to make needed repairs. According to Amanda Goad, director of litigation, the firm resolved housing cases on behalf of 300 tenants so far this year totaling over $6.5 million in compensation. “We are currently litigating another dozen cases against the owners and managers of uninhabitable slum properties, on behalf of more than 250 tenants,” Goad said, many involving buildings in the South L.A. and Compton areas. Riley said his clients took the money they received and moved to better housing. He thinks it might be a poor family's only way to get out of the housing that’s making their kids sick. A report released in August highlighted the academic problems that can arise when young children regularly miss classes because of chronic illnesses like asthma. Issued by the nonprofit groups Attendance Works and Healthy Schools Campaign, the report said low-income children of color are disproportionately impacted by the poor health that can affect school attendance. Many of them live in homes that have asthma triggers like mold and roaches. “Although we think about missing too much school as a problem in middle and high school, it is really something that affects our youngest children,” said Hedy Chang, director of Attendance Works. Emily Zelaya's son, Delroy, has had a much better preschool attendance record so far this year. He's had minor health issues, but after cleaning up much of the mold and roach infestation in her apartment, his asthma has been better controlled. Zelaya herself has been able to go back to school, and this, she says, will help her family move ahead. What explains the drop in serious violations of L.A. rental codes?